I’m excited to continue our Warrior Women Wednesday series here today and introduce you to my friend and colleague, Megan Roosevelt! Megan is a gem to the dietetic profession but most importantly, the #ttcfamily! She’s got an arsenal of YouTube videos that I’ll link to below and highly encourage you to check out. 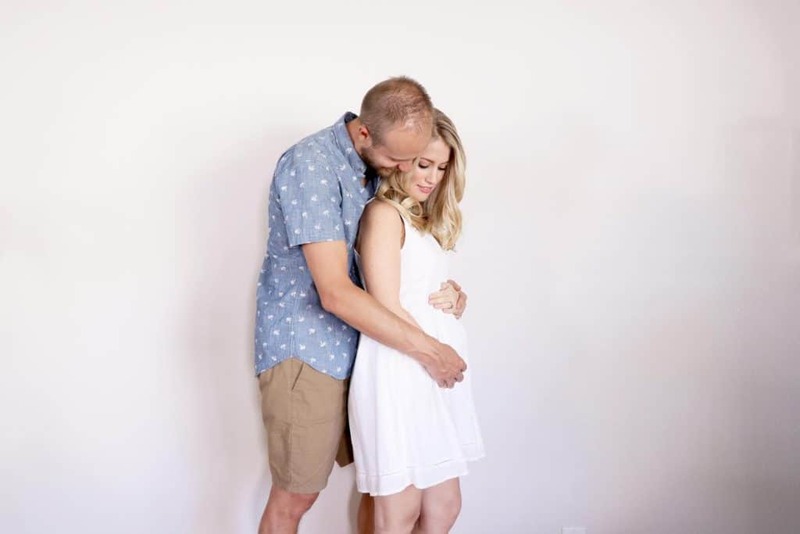 Megan has been so kind to share her experience with holistic fertility treatments and I’m honored to introduce you to her below. Please join me in welcoming Warrior Women Megan Roosevelt to the community today! 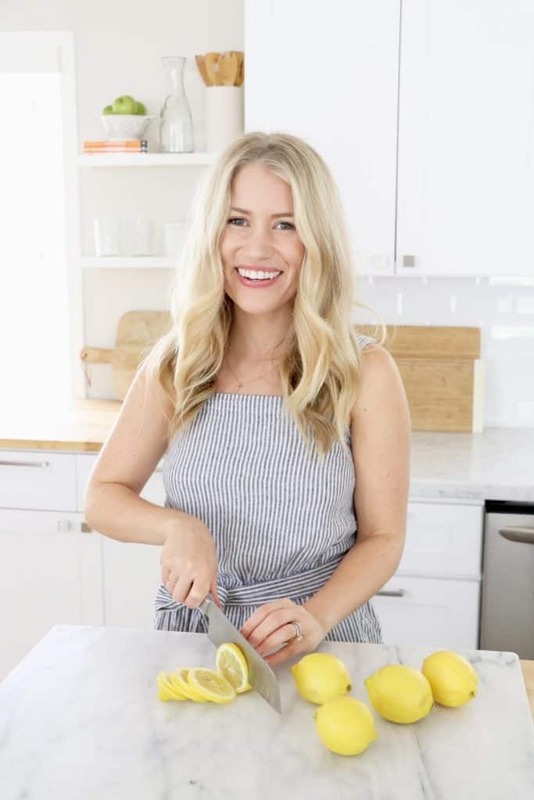 My name is Megan Roosevelt, I’m a Registered Dietitian Nutritionist, host, producer, author, and founder of Healthy Grocery Girl. Healthy Grocery Girl is a Food, Family & Wellness website and YouTube channel and we are also very active on Instagram. It took my husband and I 2 years TTC before we become pregnant. We are thrilled to be pregnant with a sweet baby girl arriving this spring 2018. 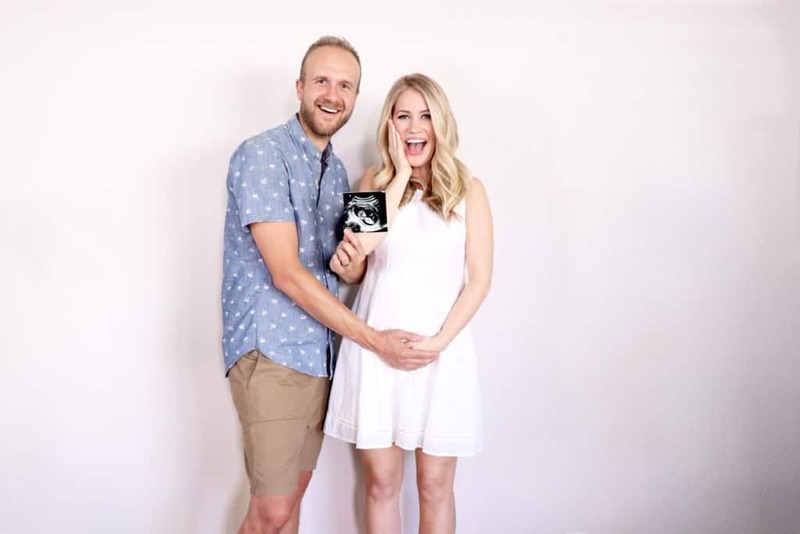 Before jumping into Megan’s story, I want to take a minute and introduce you to her amazing YouTube series below all about their journey to baby. What inspired you to seek holistic help from a naturopath? Being in the health industry and having a natural perspective I’ve always appreciated naturopaths. I am not against traditional medicine or medication at all, but I do believe that if there is a natural approach to health and healing and there is time to approach that route, then it’s wise to try! I was inspired to meet with a naturopath for my thyroid condition after my initial endocrinologist appointment left me feeling frustrated and confused. Her approach to helping me was to give me a list of tests and options that she routinely gives every single person that walks into her office. When I asked her if there was anything I could do or not do related to food to help my thyroid she looked at me with confusion and basically said that nutrition had nothing to do with thyroid health. This was a big red flag for me being a Registered Dietitian. After that initial appointment I spent hours online, I went to the library and checked out over 15 books on autoimmune diseases and thyroid conditions and decided it was my job to become an expert with my condition. I moved forward with the tests the endocrinologist ordered to truly get a diagnosis on my thyroid, but already scheduled an appointment with a naturopath for my treatment plan. My research paid off because even when meeting with the naturopath I had questions and suggestions I wanted to run by her that made me feel empowered and that I was equally apart of the team to improve my health. Infertility can leave you feeling hopeless and that you have no control with what your body is doing. Doing research and taking steps to be educated about your fertility and any specific condition you may have is one way to “take back the power” and relieve some of that frustration when your body is just not working the right. What advice would you give to someone who has no diagnosis but is looking for answers? Should they consult with a naturopath too? You never know what may flip the switch to help you get pregnant. I appreciate that naturopaths look at your health as a whole picture. They may ask questions or run tests that a fertility doctor or specialty doctor doesn’t, such as checking for heavy metal levels, food allergies or candida. I truly believe eating a gut healthy diet and taking herbs specifically for my condition helped my thyroid levels return to a normal range naturally. Why? Because for 6 months I followed this plan and we tested my thyroid levels multiple times and every time we say my levels get better and better. 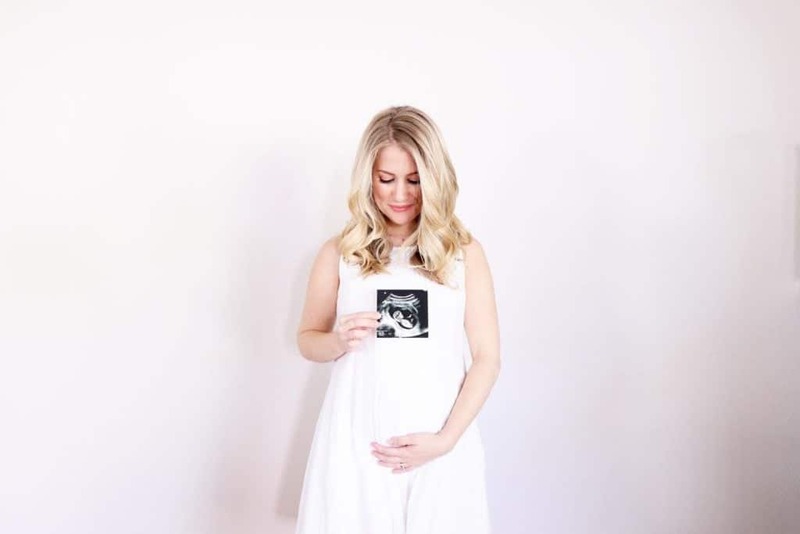 This is what worked for me personally, but I think it proves that there are multiple ways to help your body get to a healthy place and to not be afraid to speak up, change doctors, ask questions and continue to be patient as you allow your body to get to the point where it’s ready to be pregnant. Besides nutrition, are there other areas of your life you looked at? First, removing stressful work projects from my plate. My husband and I run our own business, which we love, but like any business owner, it comes with a good amount of stress. I started to say no to work that required my time and energy but produced very little positive return whether that be monetary, business growth or work enjoyment. I started focusing only on projects that truly helped our business grow and that I enjoyed. This helped me work smarter, and I could take time off (which is hard for any entrepreneur). My husband and I would go on walks everyday after work to symbolize the end of the workday and transition to a more relaxing evening. Honestly – some nights we had to jump back on the computer and work, but most nights we tried to unplug. We even scheduled a few local getaways to take a break from it all and refresh. Second, I started focusing on calming exercise. I have always loved running, the endorphin high and strength I feel after a good run. However, between running a business and actually running everyday I felt my body needed to slow down. Instead of running 5 days a week, I would run 2 – 3 days a week and then practice yoga on those “off” days. Yoga helps me relieve stress and anxiety as well as practice deep breathing. I am not claiming that yoga can cure infertility, but I do think it’s a wonderful practice for anyone struggling with his or her health. You can research it – there is an abundance of evidence related to yoga and health. Last but not least, as a person of Faith I really stepped up my time with God. I started journaling my feelings, basically like a pray journal, where I would write out my frustrations and what I need help with. My relationship with God gave me strength during many days, treatments and tests when I felt incredibly tired, scared or frustrated. I was already using natural beauty, personal care and home products before we started trying to conceive. However, I’d love to bring this topic light in case it’s helpful for someone reading this. What we put on our skin, the products we use in our home, they also can affect our health. Switching to more natural beauty, home cleaning and personal products is important as part of a well-rounded healthy lifestyle. I’ve posted multiple videos on our YouTube Channel sharing my natural beauty and makeup favorites. Check out Megan’s videos below for more information on natural beauty care! What emotions did you feel when you finally saw the two pink lines? You know those commercials where a women yells… “I’m pregnant!” and starts crying tears of joy? First of all, those commercials are really hard to watch when you’re struggling with infertility. Second, that’s not real life – at least not for me. When we found out we were pregnant my initial reaction was shock. Then a few tears of total joy. Then a lot of anxiety. When you finally have something that you’ve wanted for so long, it’s normal to be feel afraid that you’re going to lose it. For many weeks I felt like I was holding my breath, figuratively. With time and lot of prayer the anxiety lessened, but it doesn’t completely go away. I am pretty sure being a parent means having a low level of anxiety because you will always be concerned about the health and wellbeing of your little one at every stage in life! What advice do you have to someone just starting out on this journey to baby? Motherhood begins in your heart. Even if you don’t have a baby growing in your belly yet, if you’re ready to become a mom, the love is already growing inside you. While it may seem that everyone around you is pregnant, don’t believe the lie that may pop into your head that it’s easy for everyone or that you’re alone in your struggle. Personally I know more women who struggled to get pregnant or keep their pregnancy, than those who were able to conceive easily and right away. Find your tribe, people you can talk to honestly about your feelings because not everyone will get how truly hard it is! People may say dumb things even if they are trying to be helpful such as “just relax” or “it’ll happen, just be patient”. You know there is truth to both of these, but it doesn’t make it easier. You need people you can talk about your feelings with that will listen and that will get it. Lastly, it’s ok if it takes a while (whether that is months or years!). I firmly believe things always happen for a reason and at the right time. It’s nearly impossible to understand that in the moment, but looking back now I am grateful for our story because it has changed my perception on motherhood. I have so much more respect for the female body, for pregnancy, birth, motherhood and the sisterhood of women who support each other during this entire journey! Women and mothers needs to support one another more and realize that there is no perfect or right way to start or raise a family. If you have total love in your heart for that baby and are doing all that you can do, that is more than enough and you are amazing. Lastly, listen to your gut. You know your body better than anyone else. If something doesn’t feel right, speak up, get a second opinion, ask for help. FIGHT for your health, fight for that baby, fight to become the mom you know you are meant to be. You got this momma! Thank you so much Megan for your insight, words of encouragement, and hope! Amen sister, we got this, momma’s! Don’t forget to connect with Megan on Instagram and YouTube here!